Watch Russian entrant Alisa Kozhikina performing "Dreamer" live for the first time in "Urgant Show" on Channel One. 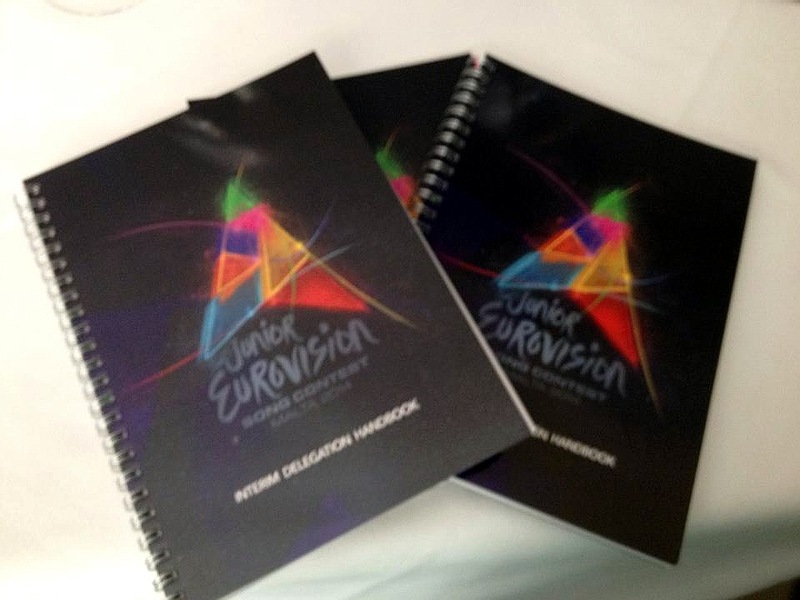 You can find more information on volunteers of Junior Eurovision 2014 here. 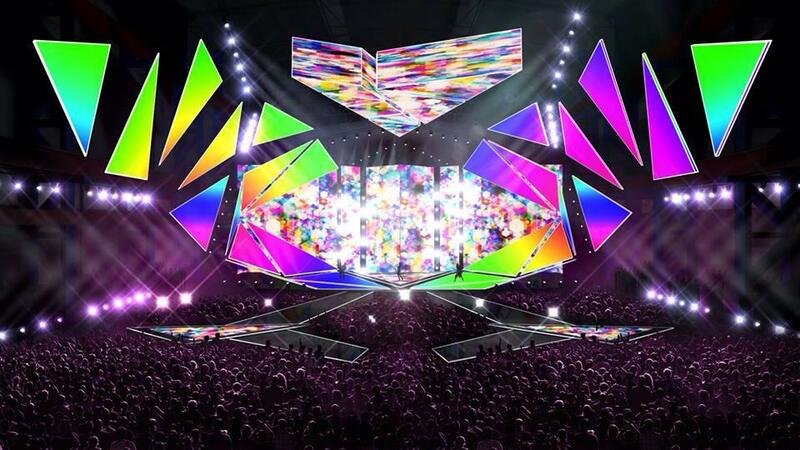 European Broadcasting Union has confirmed today information earlier revealed by ESCKAZ, that Rotterdam-based company "Sound of Data" has been appointed as a new voting partner for the Junior Eurovision Song Contest. 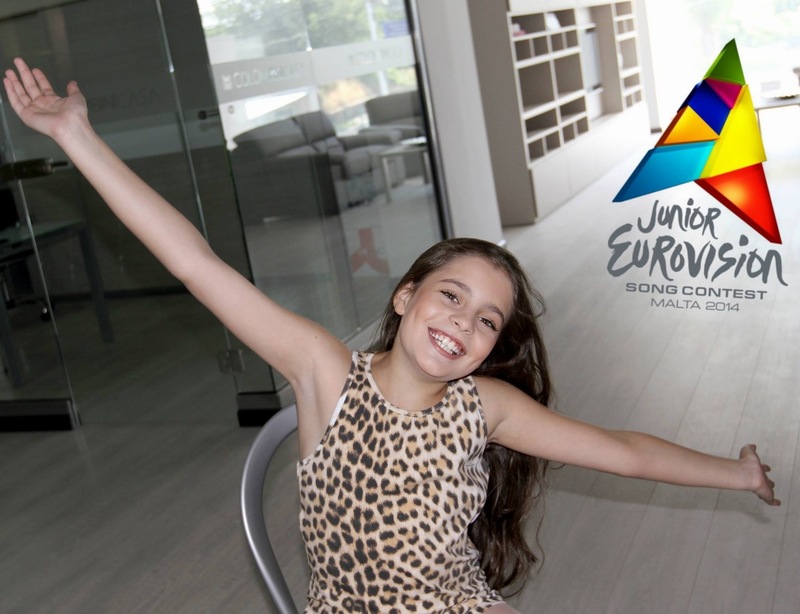 Company that has experience of working with Dutch Junior Songfestival has been chosen from the list of tender submissions and awarded the contract to conduct both the televoting and jury voting for the Junior Eurovision Song Contest for the upcoming editions. 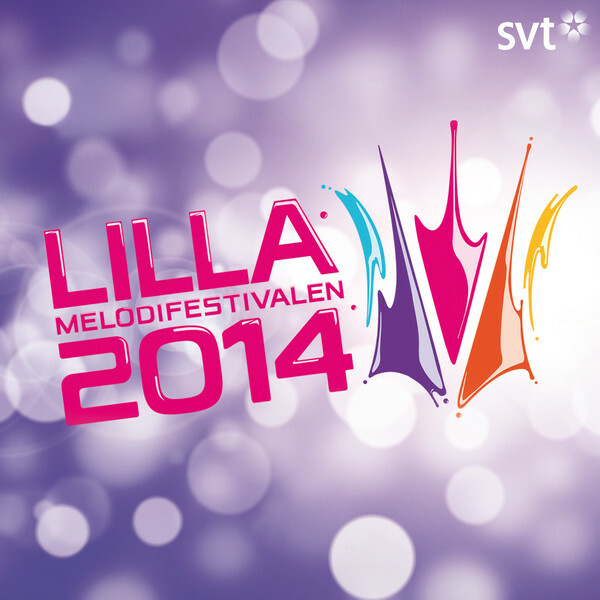 You can find more information on the changes in the televoting process this year here. BNT has officially presented the entry in "Po sveta i u nas" news broadcast, which can be seen here (scroll to 39:00). "If we look back through the history of Eurovision, this is not the first time when public and private broadcasters are working together to represent their country in the best possible way. 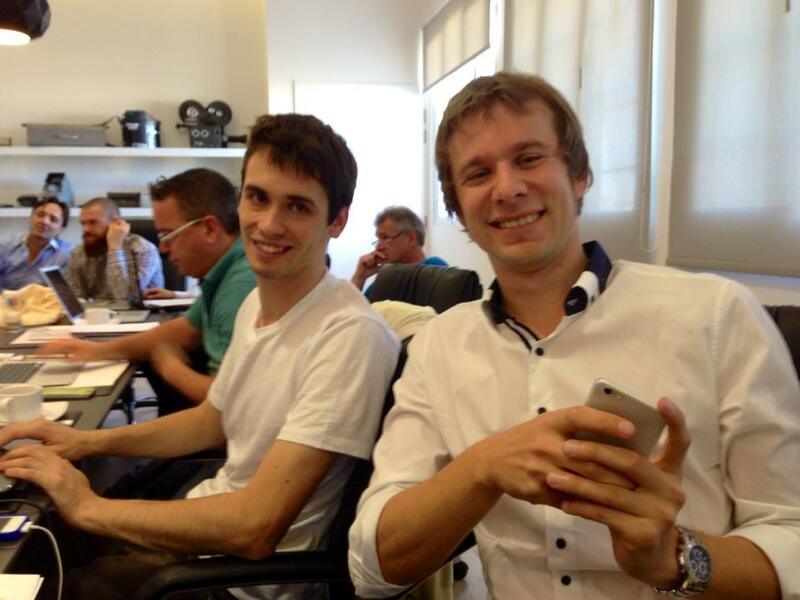 We were highly motivated by the enormous talent which Krisia, Hasan and Ibrahim have. They are already well-known in Bulgaria and they deserve to represent our country at so prestigious contest. When I heard the song for first time, I tought that it is performed by very experienced singer. On the other hand the song has very universal message, because not only the children are dreaming for a better world – this is something which belongs to everyone", Ms. Vyara Ankova, Director General of BNT said. "The planet of the children is one of the most complicated projects, we have ever been involved into. It combines the vocal capabilities of Krisia, outstanding Hasan and Ibrahim playing on piano, and the sound of Pleven Philharmonic. It think that the final product is really promising", said one of the composers and key members of the team behind the song – Evgeni Dimitrov. The tickets for the international final have gone on sale on September 16 and have been declared sold out on September 24. It is still possible to buy tickets for the "Jury final" (i.e. 2nd Dress rehearsal of the show) on Friday, November 14 at "ooii" website. Live: 21.30 CET, Slavi's Show, Bulgaria, online, BTV - presentation of Bulgarian entry "Planet of the Children" by Krisia, Hasan & Ibrahim. 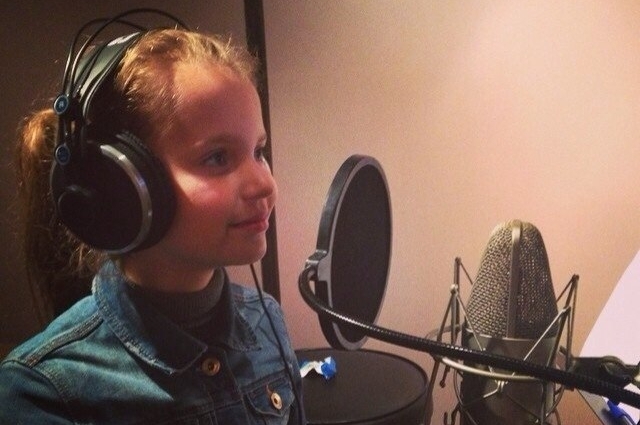 Next ESCKAZ' guest is talented young performer from Slovenia Ula Ložar. She speaks a lot about her intense preparations for the contest, plans for minimalist staging, experience of working with composer Raay and RTV Slovenia creative team, and also about her abstract drawings. Check the interview here. Another interview, about her upcoming participation in the Junior Eurovision Song Contest, representative of Russia Alisa Kozhikina gave to the newspaper "Arguments and Facts". As we have reported earlier, Alisa herself has learnt about her Junior Eurovision Song Contest participation in the late August. It was the idea of ​​the TV channel "Karousel" to nominate her for JESC, as she got massive public support in "The Voice. Kids" show. Parents were initially asked not to tell anything to their daughter, and she learned about the surprise in Vladivostok during a tour with the other participants of the project. After recording the song and the music video Alisa has returned home to the town of Sosnoviy Bor near St. Petersburg. Even at home she has no time to relax - the girl does not stop touring, taking part in shooting and concerts. When Alisa has free time, she is watching on the Internet performances from the third edition of "The Voice". Until November 5, she will take part in the concert tour in Moscow region, and immediately after that she will depart to Malta. She will be joined there by her mother and Maxim Fadeev. Also to support Russian entrant will come Tolmachevy sisters, participants of the last adult "Eurovision", who are also rumored to perform at the contest as special guests. Alisa is not afraid at all to perform on the grand stage of Eurovision. "Right now I have no fear of performing there. I'm just a bit scared by going that far from home. I have already toured a lot, was in Sochi, Anapa, even Vladivostok, but so far have never been in other countries". On the Internet, Alisa has already watched some of the other participants of Junior Eurovision 2014. "I will not call any favourites for now. They are all very strong competitors! Everyone has different songs, but all sing just greatly!". After listening to the other entrants now Alisa is looking forward meeting them, but there is slight problem in the fact that all of them will come from different countries, and Alisa knows just a few words in Enlgish. "I guess we will communicate in the sign language. And I have already learned the phrase to say to them in English: "I do not understand you". In the future, Alisa wants to go and to the main Eurovision as well. Young singer is confident that the children's competition will be a good experience for her creative path. "I want to perform with dignity, because I can not let Russia down. I really want to win!" 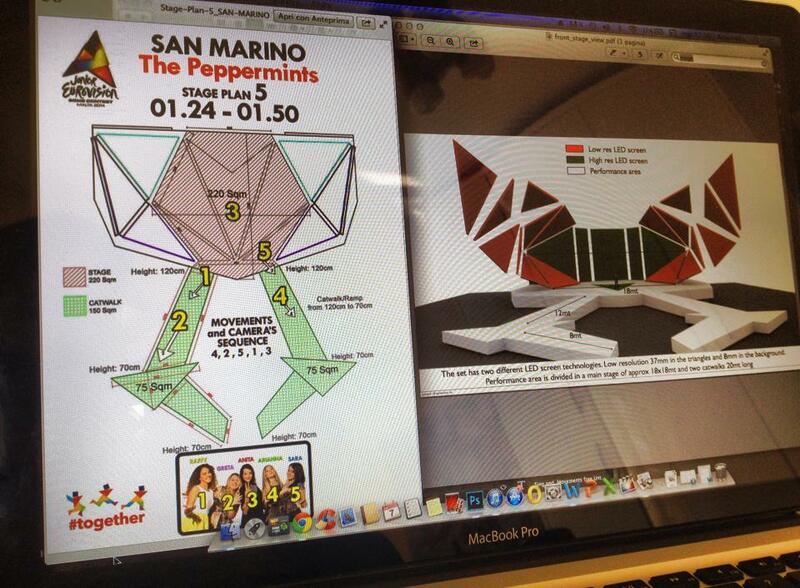 The image posted by producer of Sammarinese entry Antonello Carozza shows the planning for movement of The Peppermints girls (Raffaella 1, Greta 2, Anita 3, Arianna 4, Sara 5) on Junior Eurovision stage at time sequence 01.24-01.50 into their song "Breaking My Heart". It seems that 4 of them will be using the stage catwalks at that time. Production of the postcards has involved more than 400 hours of filming in picturesque locations around the Maltese islands, more than 300 performers, and 600 shots- all of which has taken two months. By using backdrops such as Mdina, a historical city full of culture and heritage, to film sequences that include a freestyle BMX stunt show, PBS has unified the traditional with the modern. Permission was granted to use of some of Malta's most prestigious heritage sites. Through this initiative, Malta is being promoted as a place to visit for history, culture, sports, beaches, and relaxing landscapes. The filming was a local production handled by a team of three production members and five crew members including Charles Ahar, the cinematographer who created last year's Malta Eurovision Song Contest postcards, and producers Rodney Gauci and Daniel Chircop. With a wealth of experience and imagination, they have managed to create something bigger and better for this year's Junior Eurovision. Editing the postcards presented challenges, not only combining artistic shots with appropriate music, but also adjusting to restrictions within the locations used. A number of stunt-constructions had to be created during the filming, which also had further challenges with filming at night and underwater. Various equipment had to be used such as a heli-drone, slider and track, a helicopter provided by the Armed Forces of Malta and an underwater camera. You can read more about postcards on our event page. Representative of Russia at Junior Eurovision 2014 Alisa Kozhikina has opened her official twitter account @alisa_kozhikina. Alisa is very sorry that she can not respond to all e-mails and messages that are sent to her by fans, and therefore she decided to organize a Tweet Chat with them. It will take place on Thursday October 9th at 12.00 CET. For an hour, Alisa will respond to all questions tweeted to her. We have completed publication of the interviews with the participants from former USSR countries and are now moving to the West. The Netherlands is one of the countries that has been taking part in the Junior Eurovision since it's launch in 2003. This year it is represented by Julia van Bergen singing "Around". You can find out more about her preparations for the contest and about Julia herself here. 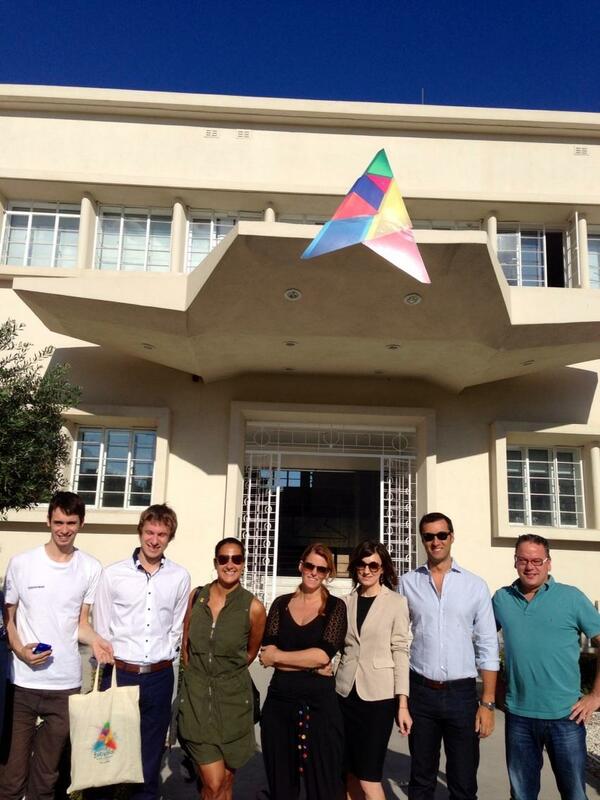 Gigantic JESC ornaments have been already installed on the main roads of tiny islands of Malta and Gozo. 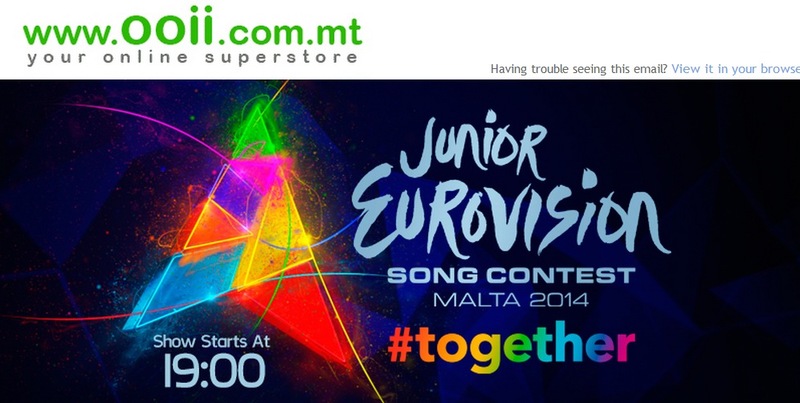 The ornaments are in the shape of the multi-coloured JESC logo, which is inspired by the Maltese eight pointed cross. The Maltese cross has the form of four V-shaped elements, each joining the others at its vertex, leaving the other two tips spread outward symmetrically. 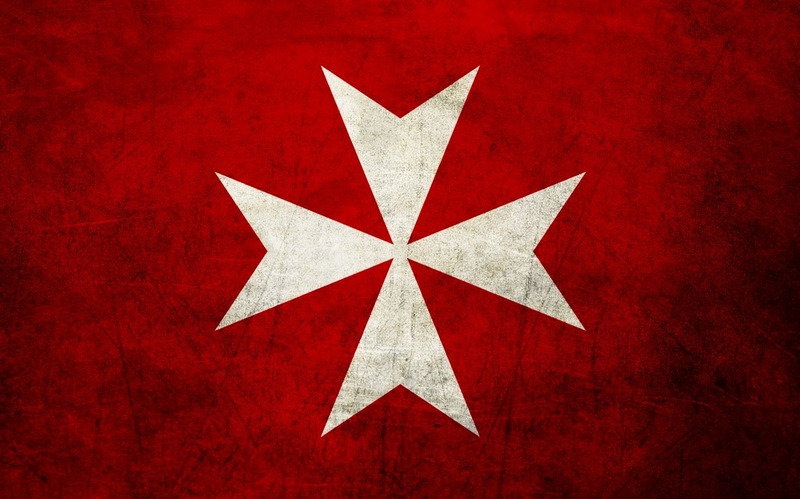 It origins from the Knights Hospitaller, also known as the Knights of Malta. The eight points of the four arms represented the eight lands of origin, or Langues of the Knights, namely: Auvergne, Provence, France, Aragon, Castille and Portugal, Italy, Baviere (Germany), and England (with Scotland and Ireland). Similarly, each different coloured segment in the logo represents a feature of Malta: Sand, Sea, Stone, Grass, Sky, Dusk and Sunset. All these features put #together represent the beauty and culture of the Maltese islands, a true gem in the middle of the Mediterranean Sea. You can find additional information on the contest logo on event page. "I learned that I will go to the "Junior Eurovision", when we with the team were on tour. Honestly, I was so excited that my mum had to answer all telephone calls in that evening for me. Everything was like a dream. I could not believe that I was going to this major international competition, I was approached by the other participants of the project "The Voice. Kids", who were congratulating me and hugging. During the dinner Ivailo Filipov congratulated me on behalf of the whole of Bulgaria, Darina Ivanova on behalf of Ukraine, and Irakli Intskirveli on behalf of the Georgian nation. So my support at the competition will be international" (laughs). But in the school until now the young singer has not yet received congratulations, because all of the work on the song and music video took place in Moscow. Teachers support Alisa, but noticed that because of the missed classes she would have to work hard to catch up with everyone later. "The song is about the fact that we should not give up on our dream. Prior to that I had never written a song, this was the first such an experience, but it just happened by itself". Video for the song "Dreamer" is the first music video in the life of Alisa. According to the story, she just walks around Moscow and sings her song, and around her some small miracles are happening. To Malta girl will go with her mother, and because she had never yet been abroad, she is worried a bit. "Maxim (Fadeev, composer) told me that it is necessary to do so that after the contest everyone was talking only about you, even if the winner will be someone else". Betty has told a story that her parents have chosen to name her Elizabeth after they made a draw with different names written on pieces of paper. "The love to music comes from the childhood, my parents told me that I was singing at the very early age. But I started doing serious steps in the music directon only in the last two years, I am learning to play the piano, I was also taking guitar classes, but I never had enough time to complete them, and every day I'm attending vocal classes with my coach Emma Asatryan". She says she loves all styles of music except rabiz, but prefers jazz, blues, classical, pop music. Her favourite Armenian singer is Aram MP3, from foreign she likes music of Ella Fitzgerald, Whitney Houston, Beyonce, Christina Aguilera. In her family noone has a direct connection to music, except for her granny was piano teacher. Her biggest critic is, however, her mother, who always wants the best for her child. 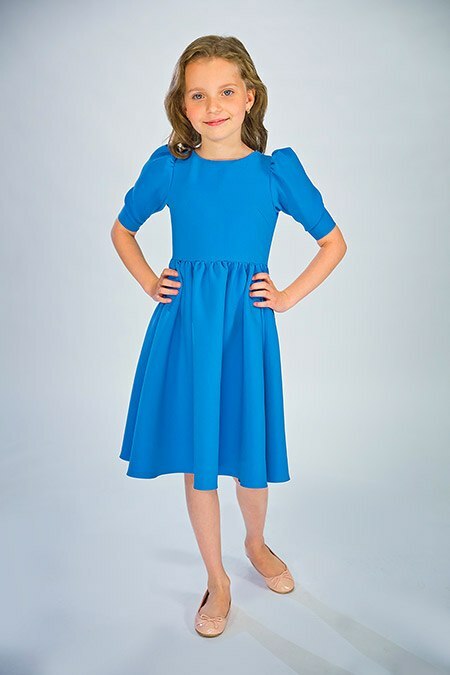 Betty's favourite school subjects are mathematics, Armenian and foreign languages​​. She is interested in painting and technology and has a big list of her possible future professions: singer, dancer, painter, guitarist, broadcaster, actress... "The list is actually endless, once I dreamt to become queen of the world" (laughs). She is actively involved in painting, she likes to draw abstract compositions, landscapes and also finds a great pleasure in making her own origami or clay work. "When I grow up, I will not leave my hobbies. They are so interesting and relaxing". 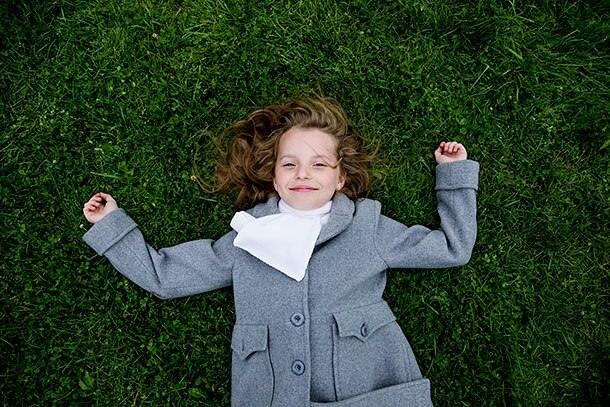 It was always her biggest wish to take part in the Junior Eurovision, and she considers victory at the national final as the biggest victory she ever had. Now, relaxed, she is looking also to win the whole international contest and to bring Junior Eurovsion back in Armenia to make her dream completely fulfilled. She has already heard most of the other competitors and so far her favourites are entrants from Sweden and Georgia. "Even though it is competition, I will be cheering for each of the participants, and I already decided to present them my own origami cranes, who are a symbol of eternity". Entry of Vincenzo Cantiello "Tu primo grande amore" presented. Read more about the artist on Italy page. Our next guest in ESCKAZ interview sessions is representative of Georgia Lizi-Pop. Find out more on her team and contest preparations here. Josephine, under stage name Josie, will perform song "Game Over", which she wrote and composed herself. Most of the song will be in Croatian language, with 25% in English. Croatian entry will be presented in the next 10 days. 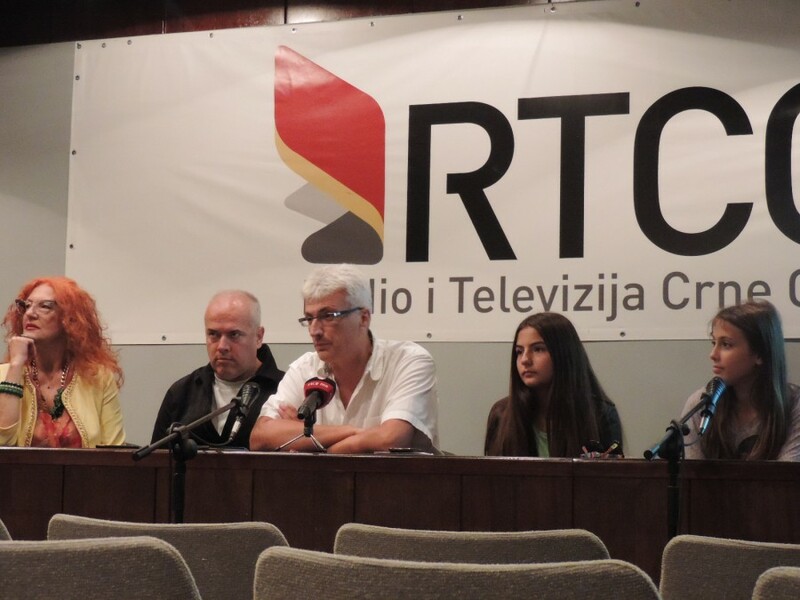 BTRC continues preparations for the Junior Eurovision Song Contest. Daily schedule of Nadezhda Misyakova includes: rehearsals, consultations with Phoniatrics, lessons of English, participation in various concerts. In rehearsals, along with a team of professionals young performer polishes her vocal skills and choreographic component of the stage presentation. 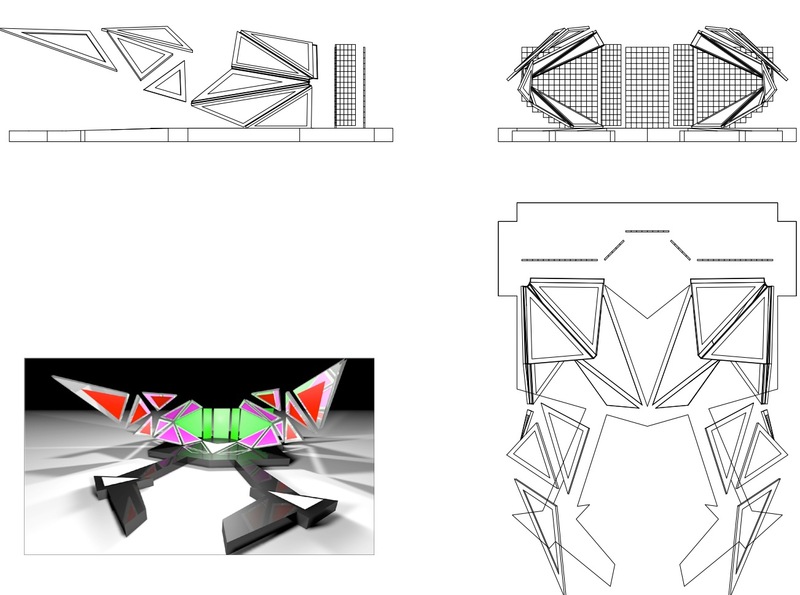 As for the contest entry itself, "Sokal" will be presented to the European public in a new arrangement. Promotional package of Belarusian participant will include a booklet with information and photo, CD with music video and audio recording of the song, as well as unusual souvenirs - headdress in the ethnic style. 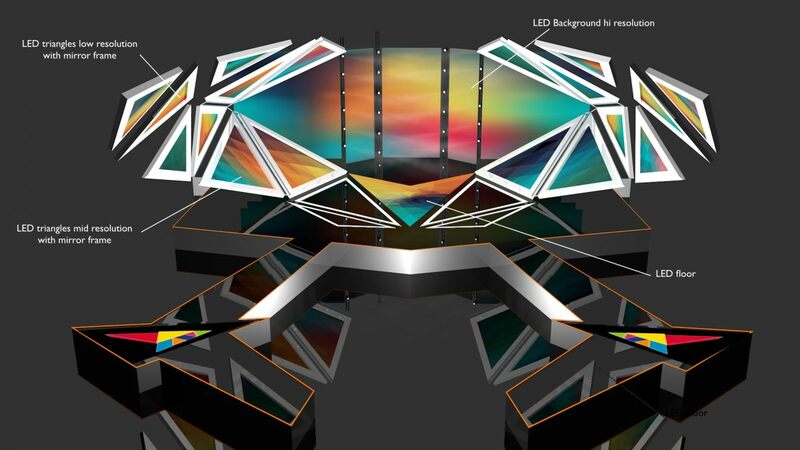 The project of Eurovision promotional products is being developed by designer Anna Gert. Despite the fact that Nadezhda already has big experience performing on stage, she still needs to practice. In this sense, participation in various concerts in preparation for the "Eurovision" - is a big benefit. The end of this week will be very intense. Today she will perform at the National Library, which will host the concert for the participants of the III Congress of teachers and educators of CIS. On October 3 young talent will perform "Sokal" in the Small Hall of the Palace of the Republic on the occasion of Teacher's Day. On October 4 Nadezhda will take part in a charity concert "All the colors of life for you." The event will be held in the framework of Belarusian Republican Youth Union project "Dobrae Sertsa Mіnshchyny" in Soligorsk. Busy day today for members of Ukrainian trio "Sympho-Nick". Girls became guests of the kids program "Kazky lirnika Sashka" (Tales of a lyre player Sashok), where together with host Alexandr Vlasyuk told little viewers "The Story of Three Little Pigs", gave an exclusive interview for the site of NTU about Junior Eurovision preparations and took part in a new photo shoot. 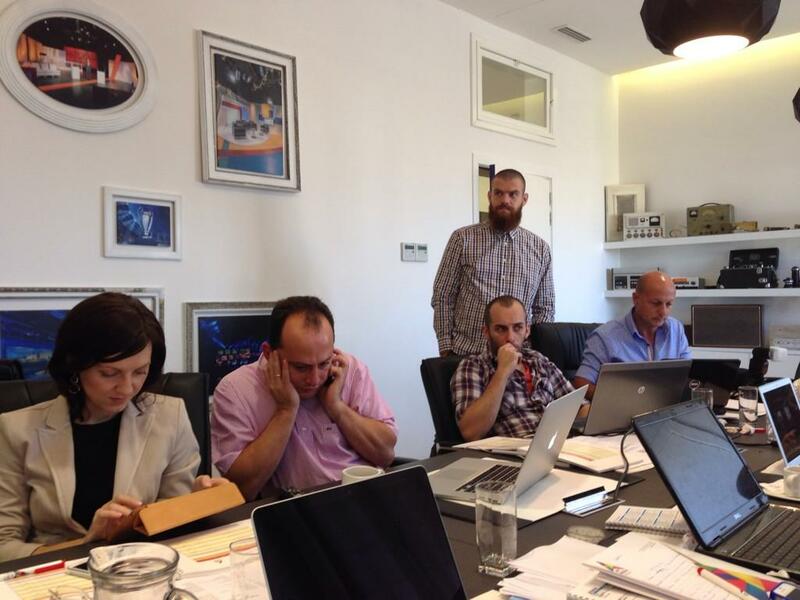 Program and interview with JESC contestants will be released in the nearest future. 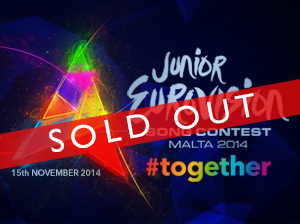 We continue series of the interviews with participants of Junior Eurovision 2014. Russian entrant Alisa Kozhikina tells us about recording of her song and music video, working with Maxim Fadeev and his production center team and her preparations for the big event. Read it here. 14.00 CET, Montenegro, song presentation at the press-conference and online. 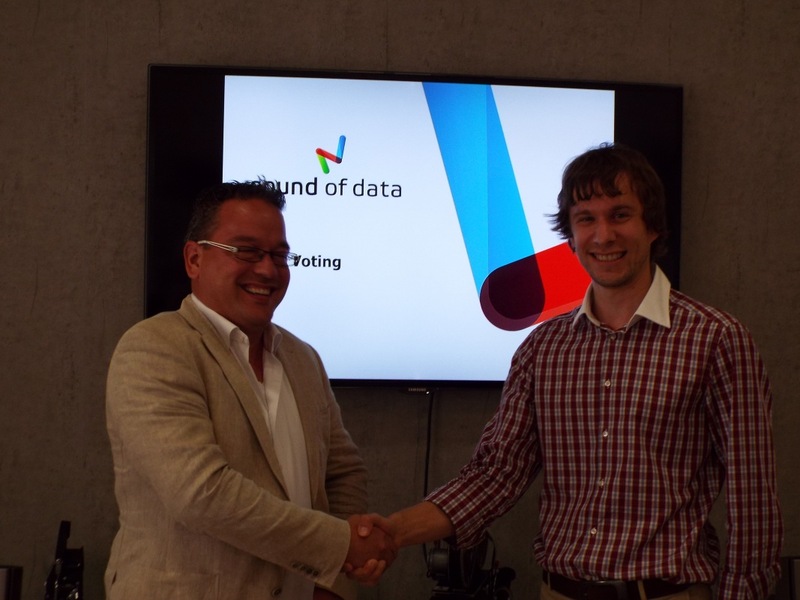 ESCKAZ believes that the new televoting provider chosen is Rotterdam based company "Sound of Data", which has experience of working with Dutch "Junior Songfestival". 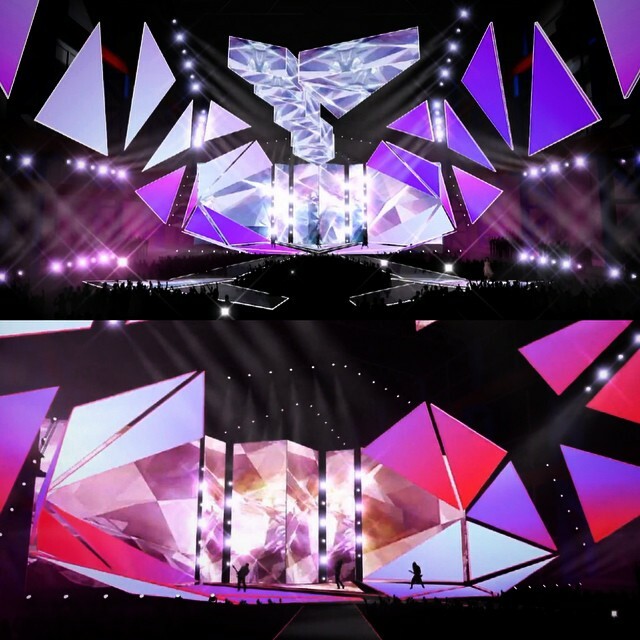 Earlier, executive superviser of the contest Vladislav Yakovlev confirmed that both in 2012 and 2013 there indeed were the cases, when televoting of several countries has been declared invalid, since the number of votes received was extremely low and didn't reach the required threshold. 100% jury voting was applied in these countries. Vlad hopes the case will not be repeated in 2014: "We have changed the televoting partner and we will count all the votes, every single vote will be taken into consideration"
"It's a very flexible and easy to use shape. The ancient art of Origami shows us how something simple can be transformed into something much more complex with just a little patience, practiced, and understanding. Our origami set is, therefore, the blank canvas on which the delegations can tell their story"
Besides stage design, there has been information revealed on the Euroweek schedule, Opening Ceremony location, press and accreditation centers, public transport, postcards, several opening and interval acts. You can find the latest on our event page. European Broadcasting Union has announced today the final list of 16 countries taking part in Junior Eurovision Song Contest 2014. Armenia (ArmPTV), Belarus (BTRC), Bulgaria (BNT/BTV, return after 2011), Croatia (HRT/HTV2, return after 2006), Cyprus (CyBC, return after 2009), Georgia (GPB), Italy (RAI/RAI Gulp, debut), Malta (PBS), Montenegro (RTCG, debut), The Netherlands (AVROTROS/NPO3), Russia (VGTRC/Karusel), San Marino (RTV), Serbia (RTS), Slovenia (RTVSlo, debut), Sweden (SVT/SVTB), Ukraine (NTU). Compared to last year three countries: Azerbaijan, Macedonia and Moldova have withdrawn from the competition. "As Chair of the Junior Eurovision Steering Group, I'm very happy and grateful to Executive Supervisor Vladislav Yakovlev for all his hard work in securing the biggest number of participants for seven years. 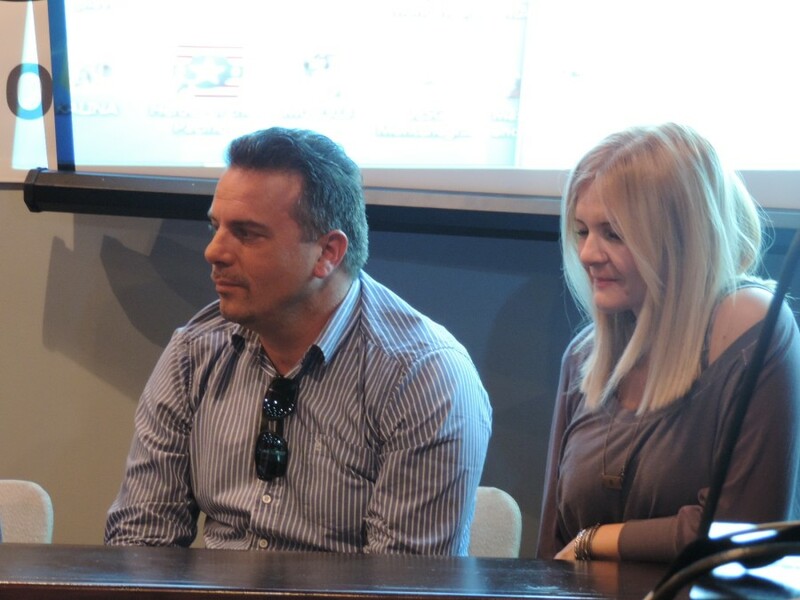 We are very excited about the competition in November"
said Ekaterina Orlova of Russian broadcaster RTR. "We have received excellent support from host broadcaster PBS in the build up to this year's competition", added Executive Supervisor Vladislav Yakovlev. I would also like to pass on my thanks to its Chairman, Dr. Tonio Portughese, together with its CEO and Junior Eurovision 2014 Executive Producer, Anton Attard, for their phenomenal work so far. 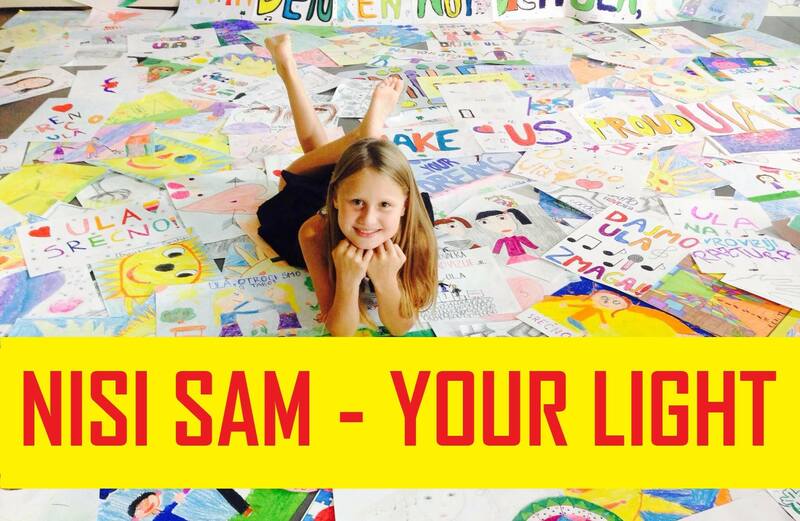 That sixteen countries have signed up to take part is a testament to their passion for Junior Eurovision, and the vision they have for this year's show". 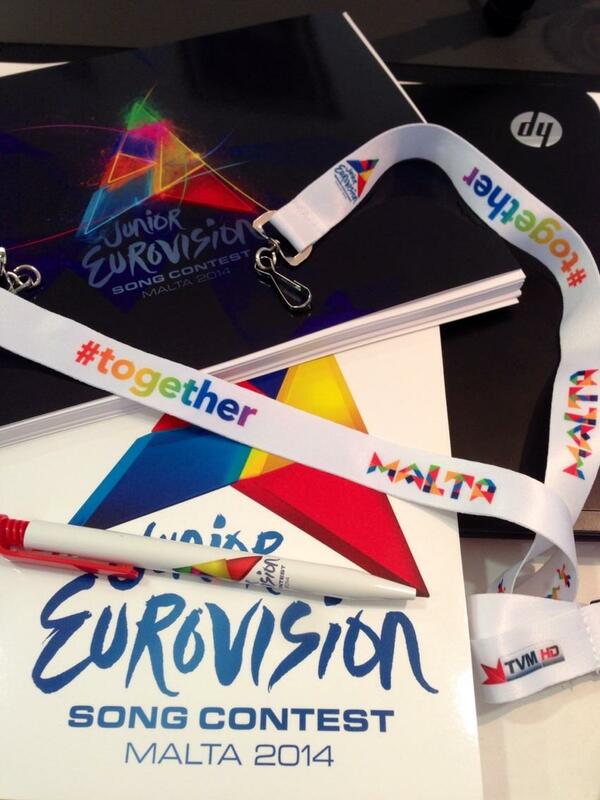 Through the day as Heads of Delegations meeting is taking place in Malta, official Junior Eurovision twitter will be bringing updates about the show, and there will be more secrets revealed. 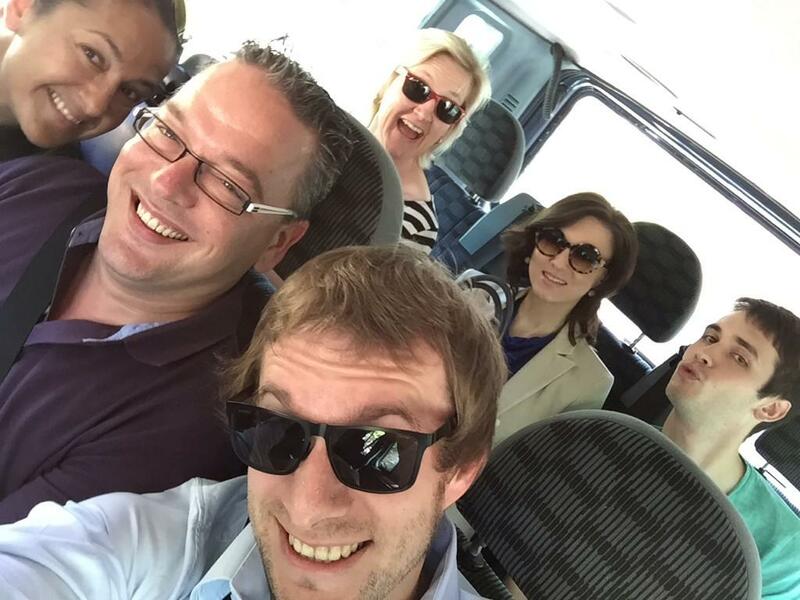 There are five HoDs attending the event in Malta (besides representatives of the Host broadcaster): Steering Group members from Russia, The Netherlands and Sweden, as well as representatives of Italy and San Marino. Other HoDs have been on connection via Skype. All the participating countries have duely submitted their respective entries, yet few of them have requested EBU to delay immediate revelation until the broadcasters do it nationally. Several countries have also received extension of music video production deadline. Members of Ukrainian group "Sympho-Nick" have recorded series of promotional video, introducing members of the group and inviting to support it during the broadcast of Junior Eurovision Song Contest in November. Introducing members of the trio, Video 2, Video 3, Video 4. Watch the music video for their entry here. Georgian entry, performed by Lizi-Pop will be titled "Happy Day". The song was composed by Giga Kukhianidze with involvement of the singer herself. Sofi Okreshidze is working with Lizi as the vocal coach, while Marika Kurdubadze will take care of her image. On the stage Lizi will be joined by 4 backing dancers: Keti Arbolishvili, Nita Lomidze, Sopho and Dea Dashnianis. It has also been revealed that title of Slovenian entry is made of 2 words, starting with "Nisi ...". Первое живое выступление представительницы России Алисы Кожикиной с песней "Dreamer" в программе "Вечерний Ургант" на Первом Канале. Вы можете познакомиться с дополнительной информацией по изменениям в процессе телеголосования этого года здесь. Европейский Вещательный Союз сегодня официально подтвердил информацию, ранее опубликованную ESCKAZ, о том, что базирующаяся в Роттердаме компания "Sound of Data" была назначена новым партнером для организации голосования в конкурсе Детское Евровидение. Компания, которая имеет опыт работы с голландским Junior Songfestival, была отобрана из числа кандидатов на специальном тендере, и с ней был заключен контракт о проведении как голосования зрителей, так и голосования жюри на предстоящих конкурсах Детского Евровидения. БНТ официально представило песню в новостной программе "По света и у нас", которую можно увидеть здесь (отмотать на 39:00). Билеты на международный финал конкурса поступили в продажу 16го сентября, и 24го сентября было заявлено о том, что они были полностью распроданы. В настоящее время все еще можно приобрести билеты на т.н. "Финал жюри" (т.е. 2ю генеральную репетицию шоу), который пройдет 14го ноября, на сайте "ooii". С дополнительной информацией о продаже билетов вы можете познакомиться на нашей странице организации мероприятия. Прямой эфир: 23.30 Москвы, Шоу Слави, Болгария, онлайн, БТВ - презентация болгарской песни "Planet of the Children" Крисии, Хассана и Ибрахима. Следующая гостья ESCKAZ - талантливая юная певица из Словении Ула Ложар. Она рассказала о своей интенсивной подготовке к конкурсу, минималистичной сценической постановке, опыте работы с композитором Рааем и творческой командой телеканала RTV, а также о своих абстрактных картинах. С интервью вы можете познакомиться здесь. Очередное интервью, посвященное своей предстоящей поездке на Детское Евровидение, представительница России Алиса Кожикина дала газете "Аргументы и Факты". Как мы уже сообщали, о том, что Алиса отправится на Детское Евровидение она узнала в конце августа. Это была идея телеканала "Карусель", поскольку за Алису в "Голосе" проголосовало очень много людей. Родителей попросили ничего не говорить дочери, а о сюрпризе она узнала во Владивостоке во время гастролей участников проекта. После записи песни и клипа Алиса вернулась домой, в город Сосновый Бор под Петербургом. Времени расслабиться у неё нет даже дома — у девочки не прекращаются гастроли, съёмки и концерты. Когда у Алисы выдаётся свободная минутка, она смотрит в интернете выпуски третьего "Голоса". До 5 ноября у девочки гастроли, и сразу с концертного тура Алиса поедет на "Евровидение". На Мальту Алиса поедет с мамой и Максимом Фадеевым. Поддержать девочку собираются и сёстры Толмачёвы, участницы последнего "Евровидения", которые, по слухам, выступят на конкурсе в качестве специальных гостей. Выходить на сцену "Евровидения" Алиса совсем не боится. "Пока что у меня нет страха выступления на конкурсе. Страшно только, что я поеду так далеко. Я уже много гастролировала, была в Сочи, Анапе, Владивостоке, но так далеко ещё не ездила"
В интернете Алиса уже посмотрела некоторые выступления её соперников по "Евровидению". "Кого-то одного пока нельзя выделить. Они все очень сильные! У всех разные песни, но поют все просто здорово!". После прослушивания других ребят Алисе захотелось познакомиться с ними, но загвоздка заключается в том, что все конкурсанты из разных стран, а по-английски девочка знает не так много слов. "Мы будем общаться на языке жестов. А ещё я выучила фразу, которую буду всем говорить: "I don't understand you". В будущем Алиса мечтает поехать и на взрослое «Евровидение». Юная певица уверена, что детский конкурс станет хорошим опытом на её творческом пути. "Я хочу достойно выступить, ведь я не могу подвести Россию. Я очень хочу победить!" Эта фотография, опубликованная продюсером Антонелло Кароцца, показывает планируемое движение участниц Сан-Маринской группы The Peppermints (Раффаэла 1, Грета 2, Анита 3, Арианна 4 и Сара 5) на сцене Детского Евровидения на временном отрезке 01.24-01.50 исполнения их композиции "Breaking My Heart". По всей видимости, 4 из участниц группы в это время выйдут на боковые подиумы. Съемки проводила команда, включавшая в себя трех продюсеров и пять членов операторской группы, во главе с режиссером Шарлем Ахаром, который создавал открытки для прошлогоднего мальтийского отбора на взрослое Евровидение, и продюсерами Родни Гаучи и Даниелем Киркопом. Объединяя свой опыт с широким воображением, они смогли легко добиться поставленных задач. Далее к процессу подключились редакторы и монтажеры, которым пришлось объединить многие часы съемок в короткие ролики и подобрать к ним соответствующую музыку. Для ряда съемок были построены специальные декорации, часть из них усложнялась проведением ночью или под водой. В процессе было использовано такое оборудование как беспилотный вертолет, камера на слайдере, полноценный вертолет, предоставленный Вооруженными силами Мальты, и подводная камера. Алиса очень сожалеет, что не может отвечать на все письма и сообщения, которые ей посылают поклонники, и потому решила провести с ними твиттер-чат. Он состоится в четверг 9го октября в 14.00 Москвы. В течение часа Алиса будет отвечать на все вопросы в твиттере в режиме онлайн. В наших интервью сессиях мы начинаем двигаться на запад. Нидерланды - одна из стран, которая принимает участие в Детском Евровидении с самого момента его основания в 2003 году. В этом году Голландию представит Юлия ван Берген с песней "Around". Узнать больше о ее подготовке к конкурсу и о самой Юлии вы можете здесь. Гигантские орнаменты Детского Евровидения были установлены на главных дорогах островов Мальты и Гозо. Орнаменты имеют форму разноцветного логотипа конкурса, который в свою очередь вдохновлен формой восьмиконечного Мальтийского креста. Мальтийский крест имеет форму четырех элементов V-формы, каждый соединенный с другими на своей вершине, а два других наконечника симметрично выгибаются наружу. Когда-то он использовался могущественным рыцарским орденом госпитальеров, известных также как Мальтийских рыцарей. Восемь "языков" представляют главные государства феодальной Европы: Овернь, Прованс, Франция, Арагон, Кастилия с Португалией, Италия, Бавария (с остальной Германией) и Англия (с Шотландией и Ирландией). Аналогично, каждый разноцветный сегмент логотипа представляет собой одну из особенностей мальтийской природы: песок, камни, море, траву, небо, сумерки, закат солнца. Все эти особенности #вместе представляют собой красоту и культуру мальтийских островов, жемчужины в Средиземном море. Дополнительную информацию о логотипе конкурса вы можете найти на странице организации мероприятия. "Я узнала, что поеду на "Детское Евровидение", когда мы вместе с командой были на гастролях. Если честно, я была так взволнована, что все звонки в тот вечер принимала моя мама. Все было, как во сне. Я не могла поверить, что еду на международный конкурс, ко мне подходили взрослые участники проекта " Голос. Дети", поздравляли, обнимали. За ужином Ивайло Филипов поздравил меня от лица всей Болгарии, Дарина Иванова - от Украины, а Ираклий Инцкирвели - от лица грузинской нации. Так что поддержка на конкурсе у меня будет международная" (смеется). А вот в школе юная певица пока поздравлений не получила, поскольку вся работа над песней и клипом проходила в Москве. Учителя поддерживают Алису, но заметили, что из-за пропусков ей придется хорошо поработать и догнать всех позднее. "Песня о том, что надо не переставать верить в свою мечту. До этого я никогда не писала песни, это первый такой опыт, но все получились само собой". Клип на песню "Dreamer" - это первый клип в жизни Алисы. По сюжету она просто гуляет по Москве и поет песню, а вокруг происходят маленькие чудеса. На Мальту девочка поедет с мамой, до этого она еще никогда не была за границей, потому очень волнуется. "Максим Александрович (Фадеев, композитор) говорит, что надо сделать так, чтобы после конкурса все говорили только о тебе, даже если выиграет кто-то другой". Бетти рассказала историю, что ее родители выбрали имя Элизабет после того, как написали несколько имен на бумажках и вытянули жребий. "Любовь к музыке у меня с самого детства, родители говорят, что я пою с самых пеленок. Но серьезно музыкой я начала заниматься только в последние два года, я учусь играть на фортепиано, я также брала уроки игры на гитаре, но из-за занятости не смогла их закончить, и каждый день я посещаю уроки вокала у моего любимого педагога Эммы Асатрян". Бетти говорит, что ей нравятся все стили музыки, кроме рабиза, но предпочтение она отдает джазу, блюзу, классической и поп-музыке. Ее любимый армянский исполнитель - Арам mp3, а из иностранных певцов ей нравятся Элла Фицджеральд, Уитни Хьюстон, Бейонсе и Кристина Агилера. В ее семье никто не имеет прямого отношения к музыке, только бабушка была учителем фортепиано. Ее самым большим критиком является ее мама, которая всегда старается сделать все для своего ребенка наилучшим способом. В школе любимые предметы Бетти - математика, армянский и иностранный языки. Ее интересует рисование и технологии, и у нее есть большой список профессий, которыми она хотела бы заниматься в будущем: певица, танцор, художница, гитарист, ведущая, актриса... "На самом деле этот список бесконечный, а когда-то я вообще мечтала стать королевой мира" (смеется). Бетти активно занимается рисованием, любит писать абстрактные картины, пейзажи, а также получает большое удовольствие от создания оригами или работы с пластилином. "Даже когда я выросту, я не оставлю свои хобби, потому что они такие интересные и расслабляющие". Принять участие в Детском Евровидении всегда было большой мечтой Бетии, и она считает победу на национальном отборе самой большой победой в своей жизни. Теперь, отдохнув, она стремится победить и на всем международном конкурсе, привезти Детское Евровидение обратно в Армению, чтобы ее мечта сбылась окончательно. Она слушала уже большую часть из участвующих песен других стран, и ее фаворитами на данный момент являются Швеция и Грузия. "Несмотря на то, что это соревнование, я все равно буду болеть и поддерживать всех участников, и я уже решила подарить каждому из них своих оригинальных оригами-журавликов, которые считаются символом вечности". Представлена песня Винченцо Кантиелло "Tu primo grande amore". С подробной информацией о представителе вы можете познакомиться на странице Италии. Следующая гостья интервью-сессий ESCKAZ - представительница Грузии Lizi-Pop. Узнать больше о ее команде и о том, как проходит их подготовка к конкурсу вы можете здесь. На конкурсе певица, выступая под сценическим именем Josie, исполнит песню "Game Over", к которой она сама написала музыку и текст. Согласно правилам, большая часть песни будет исполняться на хорватском языке, и 25% на английском. Ее композиция будет представлена публике в ближайшие 10 дней. Белтелерадиокомпания продолжает подготовку к международному детскому конкурсу песни Евровидение. График Надежды Мисяковой расписан по дням: репетиции, консультации у фониатра, изучение английского языка, участие в различных концертах. На репетициях вместе с командой профессионалов юная исполнительница оттачивает вокальное мастерство и дорабатывает хореографическую составляющую номера. Что касается конкурсной песни, то композиция "Сокал" будет представлена европейской публике в обновленной аранжировке.В презентационный набор белорусской участницы войдут буклет с информацией и фото, диски с клипом и аудиозаписью конкурсной композиции, а также необычные сувениры – головной убор в этническом стиле. Проект евровизионной промо-продукции разрабатывает дизайнер Анна Герт. Несмотря на то, что у Надежды уже имеется опыт выступлений на сцене, ей необходимо его пополнять. В этом смысле участие в различных концертах в период подготовки к "Евровидению" – это большой плюс. Конец этой недели у исполнительницы очень насыщенный. Так, сегодня она выступит в Национальной библиотеке, где пройдет концерт для участников III Съезда учителей и работников образования СНГ. 3 октября юное дарование исполнит песню "Сокал" на сцене Малого зала Дворца Республики по случаю Дня учителя. 4 октября Надежда примет участие в благотворительном концерте "Все краски жизни для тебя". Мероприятие пройдет в рамках проекта БРСМ "Добрае сэрца Міншчыны" в Солигорске. Насыщенный день выдался сегодня у украинского трио "Sympho-Nick". Девчонки стали гостями детской программы "Казки лірника Сашка", где вместе с ведущим Александром Власюком рассказали маленьким телезрителям "Сказку про трех поросят", дали эксклюзивное интервью для для сайта НТКУ и приняли участие в новой фотосессии. Программа и интервью с участием конкурсанток Детского Евровидения выйдут в ближайшем будущем. Мы продолжаем серию интервью с участниками Детского Евровидения 2014. Представительница России Алиса Кожикина рассказала нам о том, как проходила запись ее песни и съемки видеоклипа, о работе с Максимом Фадеевым и командой его продюсерского центра, и о своей подготовке к конкурсу. Познакомиться с интервью вы можете здесь. 16.00 Москвы, Черногория, презентация песни на пресс-конференции и онлайн. ESCKAZ полагает, что новым партнером в организации телеголосования стала компания из Роттердама "Sound of Data", которая уже имеет опыт работы с голландском Junior Songfestival. Ранее, исполнительный супервайзер конкурса Владислав Яковлев признал, что, действительно, в 2012 и 2013 годах были случаи, когда результаты телеголосования ряда стран признавались недействительными из-за того, что в них было получено слишком низкое количество голосов, не превысившее установленной правилами минимальной черты. В этих странах использовалось 100% голосование жюри. Влад надеется, что эта проблема не повторится в 2014 году: "Мы сменили партнера, отвечающего за проведение телеголосования, и теперь мы сосчитаем все голоса, каждый голос будет принят во внимание"
Помимо дизайна сцены сегодня была оглашена информация о расписании Евронедели, месте проведения церемонии открытия, пресс и аккредитационном центре, общественном транспорте, посткардах, некоторых актах открытия и интервала. Со всей доступной на сегодня информацией вы можете познакомиться на нашей странице организации мероприятия. Европейский Вещательный Союз объявил сегодня официальный список из 16 стран, которые примут участие в Детском Евровидении 2014. Армения (ОТА), Беларусь (БТРК), Болгария (БНТ/БТВ, возвращение после 2011), Хорватия (HRT/HTV2, возвращение после 2006), Кипр (CyBC, возвращение после 2009), Грузия (GPB), Италия (RAI/RAI Gulp, дебют), Мальта (PBS), Черногория (RTCG, дебют), Нидерланды (AVROTROS/NPO3), Россия (ВГТРК/Карусель), Сан-Марино (RTV), Сербия (РТС), Словения (RTVSlo, дебют), Швеция (SVT/SVTB), Украина (NTU). По сравнению с прошлым годом от участия в конкурсе отказались: Азербайджан, Македония и Молдова. "Как председатель организационной группы Детского Евровидения, я счастлива и благодарна исполнительному супервайзеру конкурса Владиславу Яковлеву за всю его проведенную работу, которая помогла нам достичь рекордного количества стран-участниц конкурса за последние семь лет. Мы с нетерпением ждем ноября"
заявила Екатерина Орлова из российской ВГТРК. "В этом нам очень помогли наши коллеги из телеканала-организатора PBS", добавляет исполнительный супервайзер конкурса Владислав Яковлев. "Я бы также хотел поблагодарить председателя PBS, доктора Тонио Португезе, который вместе с генеральным директором и исполнительным продюсером конкурса 2014 Антоном Аттардом, провел просто феноменальную работу". В течение дня, по мере прохождения встречи глав Делегаций на Мальте, официальный твиттер Детского Евровидения будет сообщать новости о шоу, и будут раскрыты еще ряд секретов об его организации. На заседании в Мальте присутствуют пять глав делегаций (кроме представителей Мальты): члены организационной группы из России, Нидерландов и Швеции, а также представители Италии и Сан-Марино. Другие главы делегаций присоединяются к ним по скайпу. Все участвующие страны заявили конкурсные песни в соответствии с правилами, однако, ряд из них попросил ЕВС не презентовать их немедленно, а дать время сначала представить их на национальном уровне. Также некоторые страны получили продление срока подачи видеоклипов. Участницы украинской группы "Sympho-Nick" записали ряд промо-видео, рассказывающих о коллективе и призывающих поддержать их во время эфира конкурса Детское Евровидение в ноябре. Представление участниц трио, Видео 2, Видео 3, Видео 4. Песня Грузии, которую на конкурсе исполнит Lizi-Pop называется "Happy Day". Композиция, которую написал Гига Кухианидзе вместе с самой певицей, будет презентована сегодня. Софи Окрешидзе работает с Лизи в качестве педагога по вокалу, а Марика Курдубадзе будет отвечать за ее имидж. На сцене с Лизи выступят четыре танцовщицы: Кети Арболишвили, Нита Ломидзе, Софо и Деа Дашниани. Также было объявлено, что название песни Словении состоит из двух слов, и начинается на "Nisi ...".